Some of the best conversion rate optimization tactics use elements of human psychology and buyer behavior. It makes sense. Any time you can tap into the process of human decision making and influence these decisions, it’s something to consider when it comes to driving sales. In this article, we’ll be focusing on the urgency principle, how you can use it as a sales conversion tool, and a step by step tutorial on how to add urgency to your shopping experience. At the bottom of this article, I’ve included a short video on how to set up our favorite urgency tactic: the countdown timer! The urgency principle is when an individual is influenced to take a specific action based on the creation of importance and a limited amount of time. When applied to conversion optimization, you are essentially creating urgent situations for your shoppers which in turn, will result in your shoppers taking the desired action. 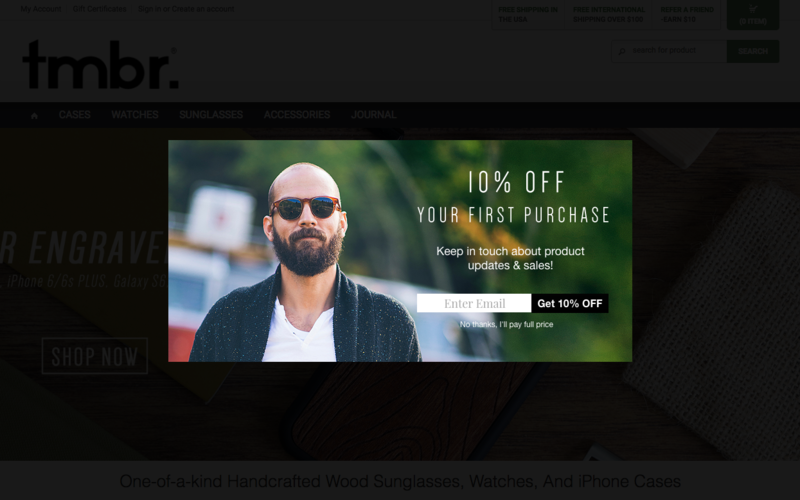 In most cases, this action will either be an email sign-up or a sale. Time plays a crucial factor in any case or urgency. Act in the given time limit and you receive the benefit. Don’t act in time and you miss out. People put off making decisions and incorporating time limits can drive them to take an action in that very moment. In order to create that want or need, you must make your offer important to your website visitors. Is this something that people see value in? If the value isn’t there, then people won’t see any point in taking action. For e-commerce, your best bet for creating importance is something to do with price. This could be a discount, discounted shipping, or free shipping. It’s human nature to avoid losing things. According to the principle of loss aversion, the desire to not lose something is greater than the desire to actually gain something. To use this to your advantage, put a negative result for not taking the desired action in your shopper’s heads. This will create urgency and they’ll be more likely to act. Today’s shoppers are very savvy which means they love finding discounts and promotions that make the purchase more accessible and convenient for themselves. To incorporate the shopper’s desire for a lower price and tap into loss aversion, emphasize the pain of paying more unless they act now. You can easily offer discounts and promotions via a promo code. This also allows you to put a time limit on sales promotions. 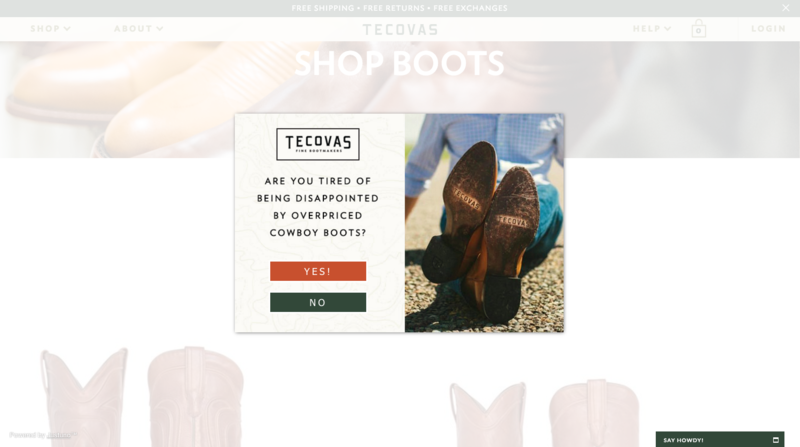 Tecovas Boots uses the fear that every boot buyer has: The fear of paying too much for a disappointing product. The power of words is real. When it comes to urgency, it’s no exception. Promotional copy can make a big difference in conversion results. TMBRS uses strong language in the CTA with “Get 10% Off.” The other element to notice is the close button text that says “No thanks, I’ll pay full price.” This plays on the principle of loss aversion that we discussed earlier. To incorporate all of the urgency tactics I’ve outlined above, you can implement a countdown timer pop-up. This allows you to present an offer, attach a visual time limit to the offer, and engage visitors with a highly visible call to action. 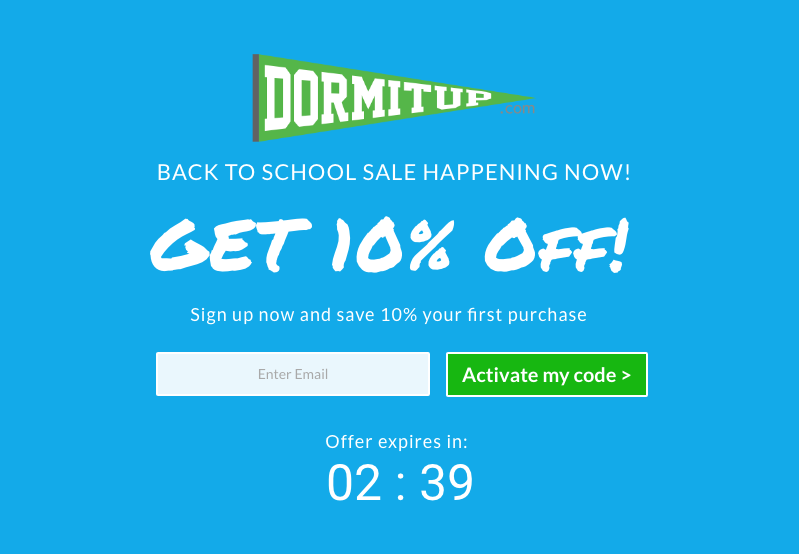 In one urgency study, adding a countdown timer increased conversion rate from 2.5% to 10.8%! Here’s a quick video showcasing the process of adding a countdown timer to a pop up within Justuno. A countdown timer can be added to a pop-up, corner sign up form, and even a banner. Now that you’ve watched the video, log in to your Justuno account and add a countdown timer to your promotions. I urge you to urgently add urgency to your website today. Don’t have an account yet? Get started for free right now!